What does your kid want to be when he grows up? A jester? Hmm, we don't know if the job market for that gig is very healthy but if it's his passion he might as well explore it. 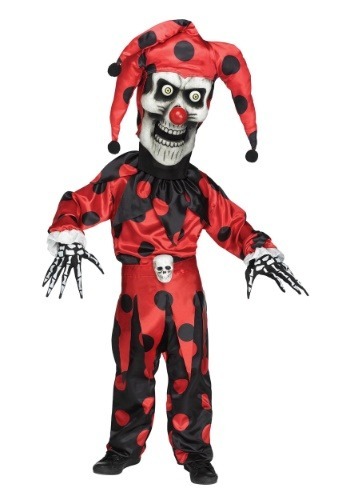 Lucky for you, we have a large selection of clown and jester ensembles for you to choose from. So there's our cheery rainbow collection, popular among circus clowns. . . not quite right? Well, how about Patches, the sad clown? No? You think he'd want something eviler, the scariest jester we have in fact? Hmm, interesting take on the jesting job, maybe he'll find his niche after all. We do have quite an evil looking solution for your enterprising goofball. We often get offers to explore costume collections. A while ago a magician had disappeared from the old theater that he had made his home. This theater was said to be haunted long before the magician lived there so after his disappearance the city was going to tear the theater down. Before they did they called us to clean out the magician's extensive costume collection. 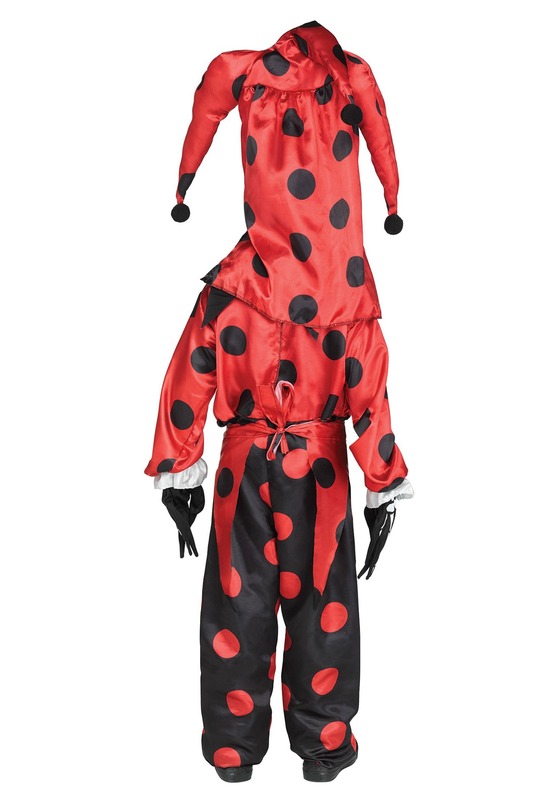 This jester costume was the last costume we found tucked into the back of a closet in a box that said: "Don't Open". Sound perfect? Well, so glad we could help! Honestly, none of that's true. But this jester's oversized skull head is so creepy it totally could be. With oversized skeleton hands and a black and red ensemble, this fellow is sure to scare up some screams while trick-or-treating this Halloween. Hey, scaring is a form of entertainment. At least for one night, your kid's career as a jester will truly shine!